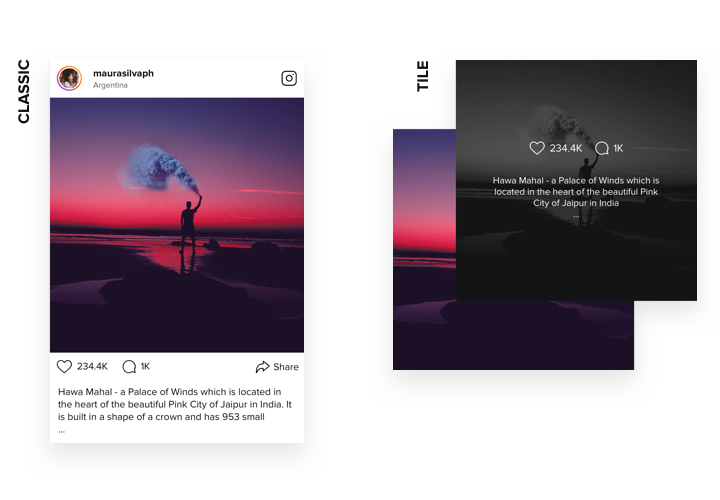 InstaShow is a powerful Instagram widget, which allows creating marvelous galleries on your site with photos and videos Instagram. 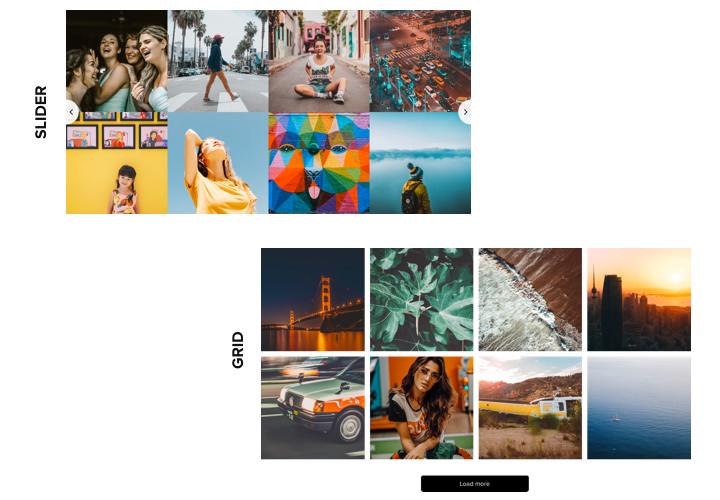 Wide customization options: all kinds of sources supported, content filters, more than 60 customization parameters, 10 color schemes, and fully adaptive layout responsive for any device. Use completely responsive and handy widget to immediately attract the audience of your website. 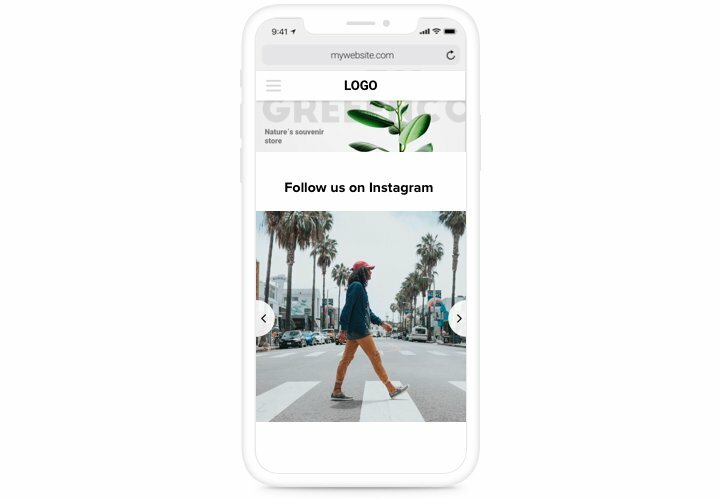 Increase conversion showcasing with Instagram photos. 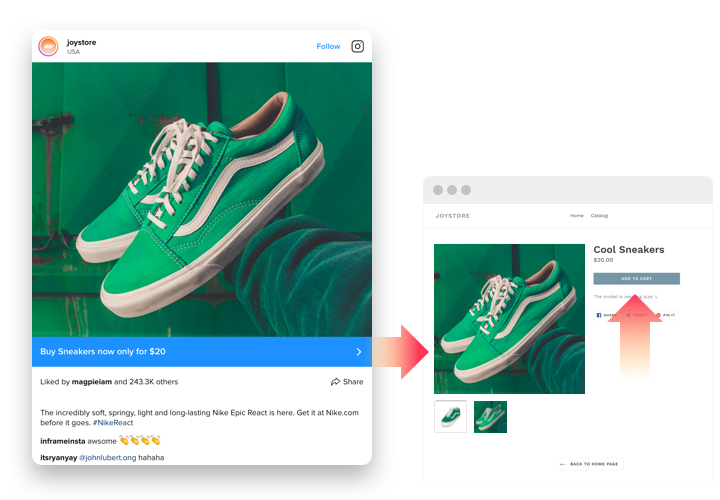 Demonstrate photos of your products or services posted by happy customers on Instagram and raise your conversion. Raise user engagement on your site with attractive content. Use content of one of the most popular social media to keep your website users engaged and interested. Have more followers promoting your Instagram account on the site. 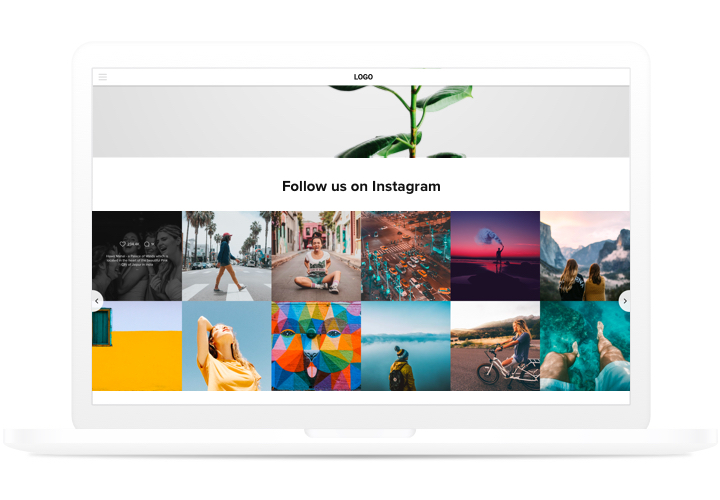 Use your website as one more way to promote your Instagram account and give a chance to follow you in one click to increase followers. Adjustable number of columns and rows. Study our brief guide on widget installation and setting. Average installation time is not more than two minutes. 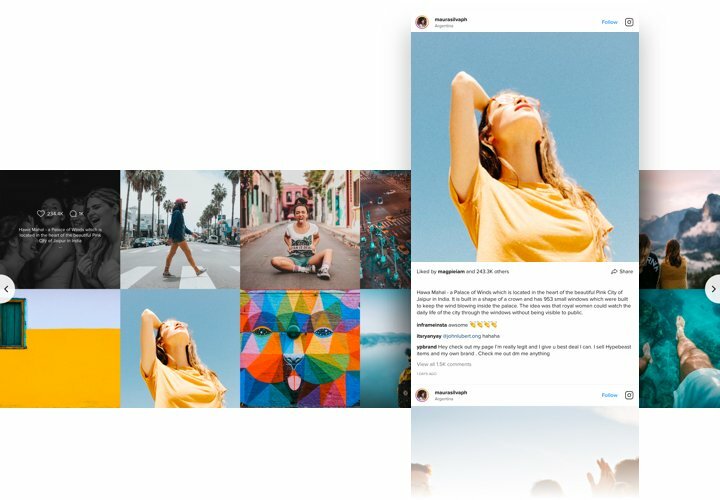 Design your personalized Instagram Feed. With the help of our free demo, generate a widget with desired look and capacities. Get the code for setting up the widget. After widget generating, get the code for Instagram widget from the popup notification on Elfsight Apps. Place the widget on Webflow website. Integrate the widget to the necessary spot of the page and apply the changes. Visit your site, to check your Instagram. Experiencing any problems with widget installation or setting of your feed? Address our support service. 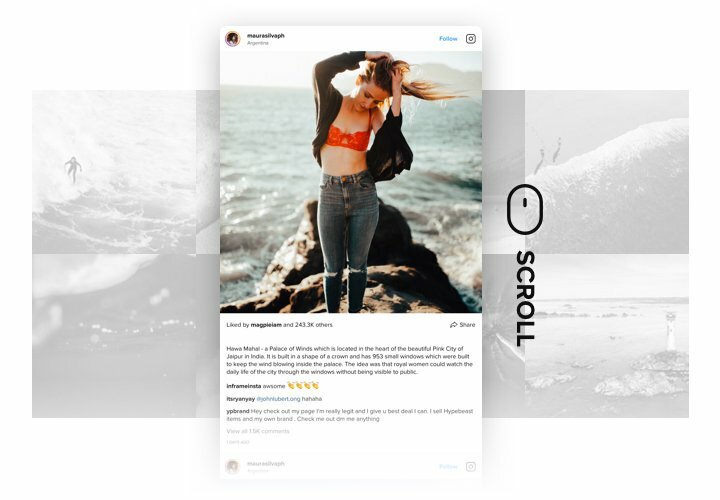 Explore Instagram Feed right now!